After two weeks of testing with over 50 bottles of wine, we found that the EdgeStar – 34 Bottle outperformed its competition to earn our pick for best wine cooler. The EdgeStar not only chilled bottles the quickest, it also kept them at the most consistent temperature. The EdgeStar is a bit pricey, but the extra investment is a benefit for any level of wine drinker. If you’d like a more affordable solution, we recommend the Frigidaire – 18 Bottle. When searching for a wine fridge to purchase, a quick search can reveal an overwhelming amount of results. 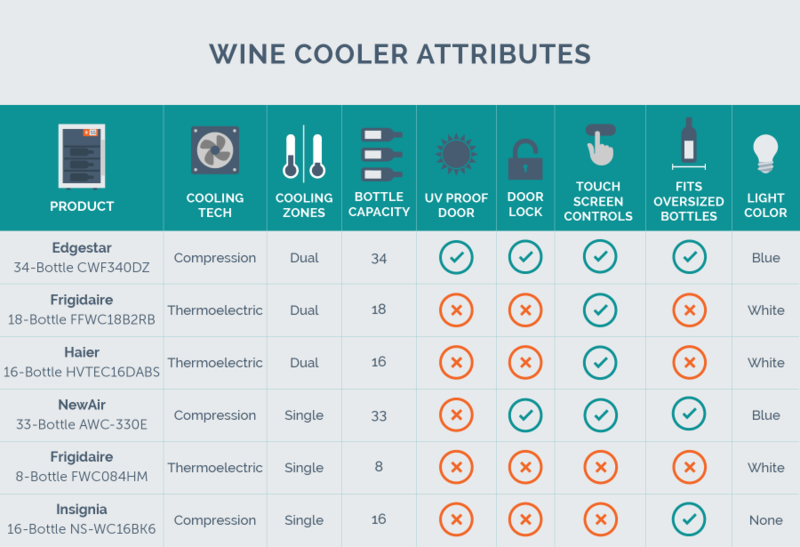 When choosing which coolers to test, we spent hours researching how they work, where to store in your home or office, how to properly store wine bottles and best practices for cooling and serving wine. For this review, we focused on freestanding and countertop units to test the best variety of wine coolers. 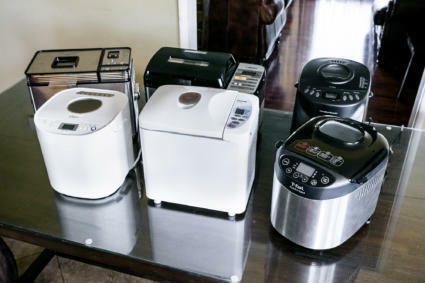 Once fully educated on wine coolers we took to top appliance retailers like Amazon, Home Depot, Sears and Best Buy to research all the options available. Online reviews from users are a huge help when looking through all the options, but in some instances, we had to read between the lines for what was a user error (based on our research) and what was a real concern. Most reviewers had questions or comments surrounding the specifics on where and how to store the wine fridge, rather than about the wine they were about to store. After deciding which products to test and characteristics to look for, we headed to the local wine shop to buy cases of wines in bottles of all shapes and sizes. We tested factors like ease of assembly and how long it took the cooler to get to storage temperature. Next, the fun part began with testing the capabilities of cooling both red and white wines. Finally, we checked for accuracy and consistency throughout the unit. The majority of the wines you will find at your local store are best enjoyed within a few years of the label date. Is it realistic for the average wine drinker to store bottles of wine for more than a year? The short answer is no. If you are looking to store wines for maturing or expensive fine wine, it’s best to invest in a professional grade wine cellar. Cooled, not chilled: Ideal storage temperatures for white wine are between 49-55 °F and for red wine between 62-68 °F. Going lower in temperature can increase the risk of wine freezing, which can also push the cork out. Going higher can risk aging the wine more quickly, which may result in flat flavors. Secure and steady: Keeping the temperatures consistent and not allowing a quick drop or rise is best for preserving your wines. Also, be sure to set the feet on the base of the wine fridge so it doesn’t rock or shake the wine. Lights out: Natural and artificial lights can be harmful to prolonged storage. Try to find a naturally dark area in your home for your wine fridge. Humidity: For those who store wine long term, they need to ensure the cork doesn’t try and spoil the wine. As long as the room has a humidity between 50-80% (which most homes do) and you store your wine on its side, this won’t be a problem for your short term storage. It is important to understand that storing and serving temperatures are not the same. White wines store best between 49-55 °F and red wine between 62-68 °F. Most experts agree that if you are storing your wine in a dual zone wine fridge, you should take your bottle out of the wine fridge about 30 minutes prior to serving in order to bring it to optimal temperatures. Place the red on the table or in a decanter to warm up slightly and the white should go in a bucket of ice to cool slightly. This best practice will also allow the wine flavor to develop as you drink the bottle. If you are using a single zone wine cooler, it is recommended to store both red and whites at 55 °F. Reds can still go right to the table to serve but your white wine should probably spend about 30 minutes in the kitchen fridge to be brought down to serving temperature before placing it in a bucket of ice and pouring. Some may ask why they can’t store wine in their normal refrigerator. In doing our research, we were surprised to find the lengthy list of reasons why other than simply lack of storage space. We found that fridges don’t have the humidity control that’s best for wine storage. 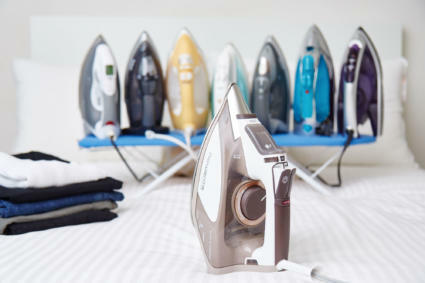 Additionally, they vibrate when running, have a quick drop of temperature and lower internal temperatures. The biggest shocker was that it could affect the taste of the wine. The average temperature of your home refrigerator is 40 °F which is too cold for your wines, plus it will also dry out the cork. If the cork of your bottle dries up, the wine will absorb smells in your fridge such as onions, garlic and your favorite takeout, resulting in the altered flavor of your wine. Think Pinot with a hint of garlic chicken. It seems that wine cooler options can be as vast as the wine industry itself. Based on our research we found that there are three important factors to consider before picking out the best unit. Where will you store your wine fridge? What is the average temperature of the room you choose? Will you be storing red wine, white wine or both? We will start with freestanding units since we found that they dominate the market when we were searching for options. These units are standalone, plug in and go coolers that can be added to any room. Freestanding units are designed with the vent on the back of the unit and need two to four inches of space for proper ventilation, therefore they cannot be placed in a cabinet or directly against the wall. Built-in units are best for those who would like to have their wine fridges directly installed with their cabinetry or inline with any appliance currently in place. Because they are designed with the vents in the front, there is no need to worry about the surrounding space. However, a good thing to consider is that built-in units require the most work to install. 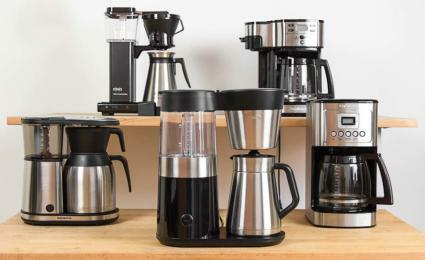 Standard sizes are available that may fit most spaces, but for some, the units may require a complete renovation of your space to properly fit the height and width of your current counters. If space or ability to easily move your wine cooler is a concern, we recommend considering countertop freestanding units. These fridges are compact, designed to hold only a few bottles of wine and sit directly on the counter, table, bookshelf or wherever suits your needs best. To keep temperatures consistent, you will want to keep your unit in a colder room if you can. This is due to the internal range of temperatures inside the units. Single zone units are typically designed to have a choice of internal temperatures with a range of about 20 degrees (45 °F – 65 °F degrees) and dual zones can be as low as a 10-degree difference per zone. If the room is warm or humid, you will probably not be able to reach those lower temperatures for properly storing your white wines (depending on the technology the unit uses). Offers an impressive ability to reach temperatures as low as 39 °F so you can comfortably add to any room. For rooms that tend to be warmer, your best bet would be choosing a compression unit. Compression wine coolers use traditional refrigerant and compressors to keep the fridge chilled. In most compression units, you will find the minimum temperature range to be lower than other units. This is due to their ability to keep the internal temperature consistently chilled. Even in a warm room, the compression unit would be able to reach temperatures as low as 40 °F. However, this may also result in a higher energy bill, so we recommend avoiding warm areas, such as a backyard bar or a garage. For more moderate temperature rooms, thermoelectric wine fridges are an energy-efficient choice. How do they work? Thermoelectricity uses electric currents that pass through ceramic cooling nodes to chill the tiles facing into the unit. A fan then pushes the chilled air through the unit. The reason thermoelectric units are better for moderate temperature rooms is that they typically only lower temperatures about 20 °F from the room temperature itself. For example, if your living room is consistently at 75 °F, your thermoelectric unit could struggle to stay consistently at the storage temp of 55 °F. Outside of their temperature limitations, both compression and thermoelectric units have their pros and cons. We will explain further in the individual tests below. 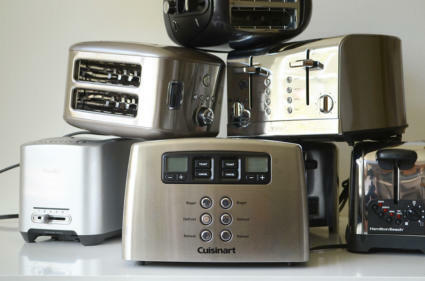 An important note for those who live in California: according to the California Energy Commission (CEC), not all thermoelectric units have passed the Appliances Energy Regulations. Since we are based out of Southern California we tested both compression and thermoelectric units that have passed all CEC Regulations. If you are looking at keeping one type of wine over the other, single zone units might be best fitted for you. They are single compartment wine coolers that can only be set to one internal temperature. Conversely, dual zone units are best if you like to store both red and white wines in your fridge. They have isolated compartments with separate temperature controls to store wine at their ideal temperature. 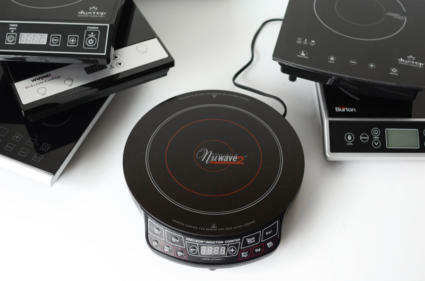 We tested both single and dual zone units for this review. Built-in lock: This may be an important safety feature to consider if you have children in the house. Insulated door and/or tempered glass: Wine and sun do not mix. To safeguard your wine, it is best to choose a unit with tempered glass. Adjustable feet: Not all floors are created equal. If your wine fridge does not sit flat, it could increase the vibration of the unit (which can disturb the wine sediment). Storage shelving size: All wine fridges will store your standard sized bottle. If you enjoy larger bottles of wines (champagne) or your favorite bottle has a longer neck, it may not fit on most shelves. Consider a fridge with a basket or larger top shelf. Bottle capacity: Our research found that once the owner was able to store wine correctly, their collection grew quickly. We recommend going with one size up from what you think you would need as chances are you will fill your fridge quickly. Once all of the wine fridges were delivered, we tested out of the box assembly and convenience to set up. Four out of the six units came ready to plug in and go. The EdgeStar and NewAir came with the handle separate from the unit, so you could decide if you would like it on the left or right side of the cooler. In addition to the handle, the buyer can adjust the hinges on the door to open in the direction they choose. We loved this option to be able to best fit your room design. Once the coolers were in place and plugged in, it was time to wait. Per the instructions, all the compression units needed 24 hours before starting to store wine. This is because they needed time to stabilize the internal temperature of the fridge. Surprisingly, we found that after one hour, each of the compressor units were down to the cooling temperatures we set. However, we still recommend waiting for the full 24 hours to ensure that internal temperatures are steady. Thermoelectric units cooled and stabilized temperatures faster than the compression units. Per the instructions for these units, the fridge needed two hours to cool. However, we found they were ready in only one hour. In doing further research and testing, we found that these wine fridges needed the full two hours in order to stay cool when adding bottles and opening the door. Once both the compression and thermoelectric fridges were given enough time to regulate the internal temperature, we readjusted and started our tests. 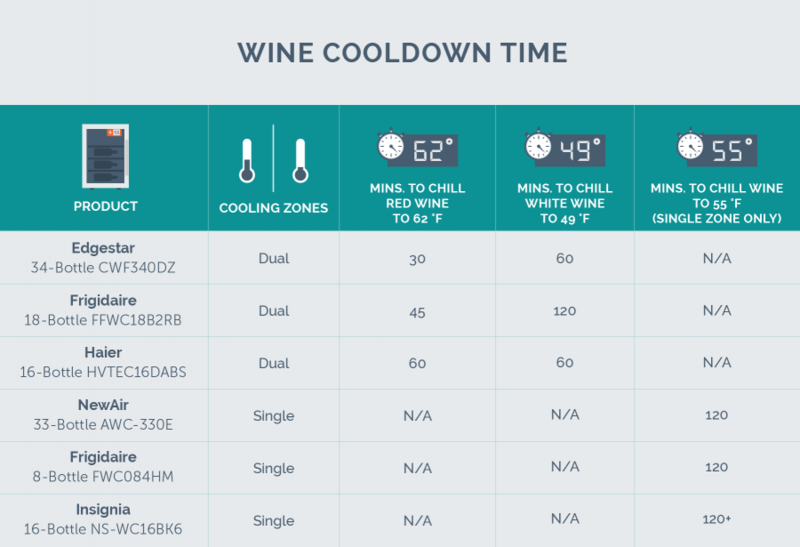 For dual zone coolers, we set the chilling temperatures to 49 °F for white wine and 62 °F for red wine. For single zone fridges, we set the temperature to 55 °F. We chose those temperatures because they were the lowest recommended storage temps for each wine type. We used cases of both red, white and sparkling wines at room temperature. Bottles read 70 °F before being added to the fridges. The temperature was checked every 15 minutes for two hours. We did this by using a kitchen thermometer. We also tested the inside air temperature with an infrared thermometer. For our top three performers, the Edgestar, Frigidaire and Haier, we found that red wine can be chilled within an hour. The EdgeStar – 34 bottle wine cooler was the quickest at 30 minutes. The Frigidaire – 16 bottle wine fridge was a close second at 45 minutes and the Haier – 16 bottle wine cellar only needed 60 minutes. Since white wine needed to drop at least 20 degrees, we had to wait a bit longer. We found that the EdgeStar came out on top again, only needing 45 minutes to cool the wine to the optimum temperature. The Haier cooled white wines in an impressive 60 minutes, while the Frigidaire needed almost two hours. All of the other fridges we tested needed a full two hours to bring both red and white to storage temperature. We first checked if the temperature was the same as what was on the display, using both a kitchen thermometer and infrared thermometer. Then, we checked the consistency of the temperature from the top, bottom, left and right of the inside of each cooler. All instructions included a disclaimer that temperatures can vary two degrees from what is on the display. The Frigidaire dual zone temperature was two degrees cooler than what was listed, but that temperature was overall consistent throughout the fridge. The EdgeStar and Haier were both accurate and consistent across the board. The single zone coolers didn’t maintain temperatures as consistently throughout the unit. In fact, they ranged as much as four degrees from top to bottom and side to side. When conducting research and reading reviews, we found that this was a major concern and flaw with some designs. How did the temperatures vary? The location of the fan or vent was the coldest place in the fridge. Where the fan entered the unit, temperatures were accurate to what was set. Farther away from the fan, the temperature rose an average of three degrees, even in the smaller units. Another variable to consider is how much the temperature fluctuates when the door of the wine fridge is opened. This is important if you find yourself rearranging your collection or adding and taking out bottles frequently. On average, the coolers increased five to seven degrees and took about 30 minutes to reach chilling temperatures again after they were opened. The Haier’s cooler showed the biggest fluctuation of temperature when opening the door for 60 seconds. It also took nearly 20 minutes to return back to its original temperature. The EdgeStar- 34 bottle wine cooler is the largest, heaviest and most expensive cooler that we tested, but the results spoke for themselves. There is only one step to putting this unit together. The door handle comes separately, but easily attached by peeling back the insulation and removing the caps for an easy install. You can also choose to place the handle on the left or right side with the adjustable hinges. Once the handle was on, we found that the cooler reached the cooling temperature in just about two hours. Once the EdgeStar was ready to chill your wine, it only took 30 minutes for reds to get to the proper storing temperature and 60 for whites. This is half the cooling time of other units we tested. 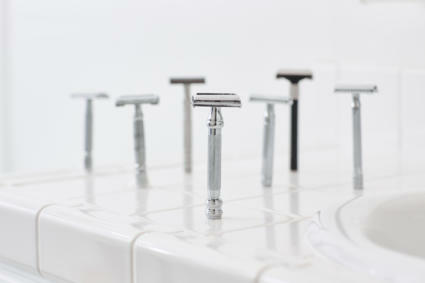 Refined features like a built-in security lock, towel bar handle and reversible door make the EdgeStar a clear winner. 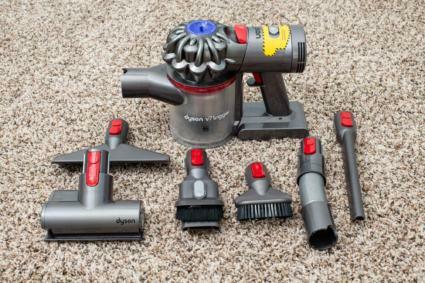 Not the cheapest option on the market, but well worth the price tag for all the added features. The attention to detail was unmatched compared to other units, which includes the dual temperature displays that were easy to adjust and read with a blue light in both zones. Structurally, it included a whopping three-inch separator between the red and white zones to ensure proper cooling. Other units only had a one-inch separator between the red and white wine zones. Other things that stood out about the EdgeStar unit included the sleek design and shelving. Other units had steel shelving that pulled right out, while the EdgeStar offers a wood stopper with wrapped shelves that pull out just enough to quietly grab the bottle. A favorite feature of the EdgeStar was the design of grooves in the shelving. It accommodates bottles placed forward or backward, helping to optimize space and create more room on the top shelf for those larger bottles of wine. We couldn’t find many things to whine about when testing this unit. If we must dig, there are no up or down arrows on the temperature controls, you simply push the “top display” or “bottom display” button until you reach the end of the temperature range for it to start over. The upper unit, for white wines, has a range of 41-54 °F and the bottom unit, for red wines, has a range of 54-64 °F. Since this is the biggest unit we tested, just make sure you have the proper amount of space for placement and ventilation. The EdgeStar – 34 bottle wine cooler offers impressive timing to bring wine to storing temperatures. Reds were ready after a quick 30 minutes and white wines only 60. A favorite feature was the oversized shelving with wrapped wire and an edge wood stopper, keeping your bottles safer than other units. This dual zone cooler has a three-inch separator between zones to ensure proper temperature and includes blue display lights to help you search through both your red and white wines. Not committed to loving either red or whites? The NewAir – 33 bottle cooler is a great single zone compressor unit with a professional feel that looks great next to any table, cabinet or bar that you have set up. Its easy-to-use button temperature controls, insulated glass door and blue display light makes this a great upgrade for your wine collection. We loved that in addition to the six sliding shelves, there is a bottom basket that had plenty of space for the non-standard bottles of wine or champagne. The NewAir also has an impressive temperature range, going as low as 39 °F. Storing an impressive amount of both red and white wine, this fridge is a great addition for any wine lover's collection. When conducting our research, we found that people are concerned with single zone units keeping a consistent temperature throughout. We tested two single zone wine coolers and found that both validated people’s concerns and didn’t test consistently. 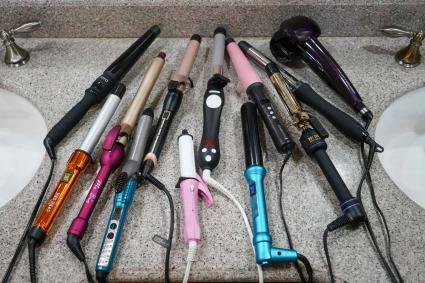 The NewAir had an average of four-degree difference from the top of the unit to the bottom. You can use this to your advantage and place the red wine bottles towards the top of the cooler, where the units tend to be warmer. The coolest spaces were towards the bottom where the vent was located. It is important to note that when we opened the door to put the wine in or take it out, the overall cooler temp rose five to seven degrees each time. However, it did cool off again within 15 minutes. This unit is best placed in an area with minimal sunlight. It has an insulated door, but the glass does not block out UV rays. The NewAir – 33 bottle is the best single zone wine fridge that we tested, with a professional look and easy temperature controls. It holds both red and white wines at the perfect temperature. The basket on the bottom of the NewAir is perfect for champagne or oversized bottles. Extra features include a safety lock, insulated door and blue display light to easily find your favorite bottle of wine. For those looking for a compact option that is wallet-friendly, the Frigidaire’s eight bottle countertop wine cooler is the best option for you. Ready to go right out of the box, this unit needs no assembly and only needs one hour to cool to storage temperature. This is a single zone, thermoelectric unit with a tinted glass door. It’s a great option for any room in the house. 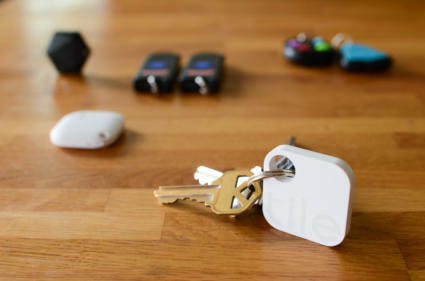 It is lightweight and easy to move around if necessary. There was no noticeable vibration with this fridge and it had very easy-to-use controls that display in both Celsius and Fahrenheit. Plus, it had a white display light at the top of the unit that makes it easy to pick out the bottle you are looking for. We love the quick ability to cool down with dual paned glass door and a vibration free design. During testing, we did find a few minor inconveniences with this cooler. Though it’s a small unit that holds only eight bottles, we were surprised to learn there was a temperature difference of two degrees from the left to the right side of this fridge. It also took two full hours for bottles placed in this fridge to reach optimum temperature. So this is not a unit for someone who would like to quickly cool bottles for serving purposes. Overall, the Frigidaire eight bottle countertop wine fridge is a nice choice for those with limited space and looking to store just a few bottles at a time. The best smaller unit we tested, the Frigidaire – Eight bottle cooler fits right on your countertop, bookshelf or under a desk. The easy to control digital temperature display makes the Frigidaire perfect for both red and white wines in one space. It’s ready to plug in and go in under an hour, so we appreciated that the Frigidaire is a lightweight option that can travel with you. If storing more than 30 bottles is a little much for you, we recommend going with the Frigidaire 18 bottle wine cooler, which is a narrower unit that is great for tight spaces. The Frigidaire was our second best pick for overall wine fridge unit thanks to its convenient design, ability to regulate the overall temperature and solid insulated door with protective tempered glass displaying only the red wines. A feature unique only of the Frigidaire is the door. While the top half has display glass to be able to see your red wines, the bottom half is a solid insulated door to add another layer of protection for your white wines from UV rays. All around performance and consistency makes the Frigidaire a great choice. 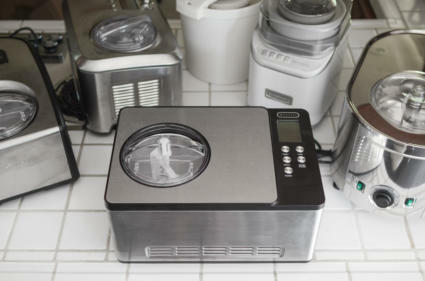 Once plugged in, this cooler only needs one hour to cool down to storage temp in both zones. Now ready to store wine, we used bottles that were at room temperature of 70 degrees to test the cooldown times, we found that the Frigidaire chills red wines to storage temp in an impressive 45 minutes. The white wines dropped about 10 degrees in one hour and ultimately took nearly two hours to reach final proper storage temperature. During testing, we found that the Frigidaire 18 bottle fridge fluctuates about two degrees from what the display temperature says. The cooler was tested in different rooms with different amounts of light and was consistently two degrees colder when storing red wine and two degrees warmer when chilling white wines. Something to note – the manual on each cooler did note that chillers can range two degrees up or down depending on the room temperature, humidity and ventilation. Although all chillers were tested in the same environment, the Frigidaire was the only fridge that was consistently two degrees different. We would recommend the Haier – 16 bottle dual zone wine cellar for the casual or occasional wine drinker. This is another great option for those who may be tight on space or are only looking to store a few bottles at a time. Like the Frigidaire, there was no assembly out of the box required with this cooler. It was ready to plug in and go. We preferred the blue LED temperature display on this unit compared to the Frigidaire’s soft green display and the full glass display allows you to see all the wine you store. Refined features like the blue display light, UV protected glass door and touch screen panel. We found that the Haier only needs one and a half hours to cool down. Once chilled, it only took one hour to cool both red and white wine options. 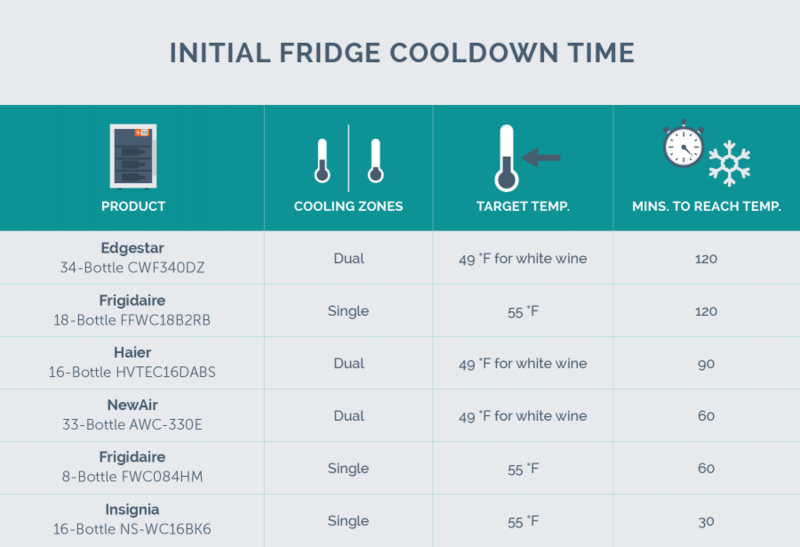 A word of caution: when placing bottles in or removing them, we found that this wine fridge’s overall temperature rose quickly and took about 20 minutes to settle back to the desired temperature. To better understand the capabilities of this unit, we tested the Haier in different rooms with different amounts of sun. We found that the top section storing red wines stayed consistently two degrees below what the display read, but was overall accurate for the white wines. If you’re looking for something with a large amount of versatility in storage and movability, the Insignia – 16 bottle wine cooler is a nice value add to your kitchen or bar. Ready to go right out of the box, it only takes one hour to cool to storage temperature. Bottles can be stored from front to back or sideways. The bottom shelf also can hold bigger bottles like champagne or can be removed completely to fit 12 cans of wine or soda. While it is very easy to just turn a dial to set the temperature to “normal”, we didn’t like that there was no adjustable temperature control. The dial was in the back of the fridge, which required us to remove any bottles on the shelf to adjust it. The Insignia performed well but took nearly two hours to chill both red and white wines to storage temperature. Overall, the Insignia was about half the cost of the Frigidaire – 18 bottle cooler, but we discovered that you get what you paid for. 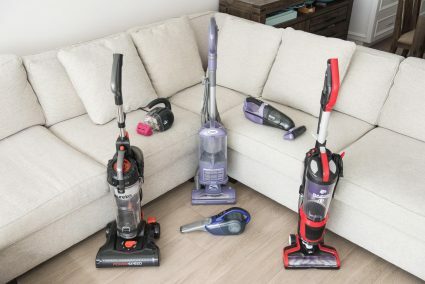 So, we would recommend spending the small amount of extra money to buy the Haier. When it comes time to perfectly preserve a favorite bottle of wine, consumers look for a unit that keeps temperatures consistent, has the proper space for their collection and is easy to use with minimal upkeep. That’s why we chose the EdgeStar – 34 bottle dual zone wine cooler to out chill its competition. While the Frigidaire and Haier and are also great options for a smaller space and less storage, we choose the EdgeStar for its capacity and variety in storage capabilities, ability to keep wines stored at an accurate and consistent temperature and attention to detail in the design. The smaller countertop units will get the job done, but due to lack of space and options, might quickly become a source of frustration. These units also underperformed when regulating temperature throughout the unit. Regardless of the size, a wine fridge is a useful appliance to have on hand for just about any wine drinker. The convenience of properly storing your favorite bottles, clearing up space in your fridge and ability to pick up that extra “just in case” bottle will expand your interest in this multibillion-dollar industry. We can’t help but love all the extra features found in our top pick, the EdgeStar 34 bottle free-standing, compression, dual zone wine cooler. All the attention to detail made us say “wow”, but if the price makes you say “wow” too, then we recommend the Frigidaire – 18 bottle wine cooler for you. We can't help but love all the extra features in our top pick, including wrapped wire shelving, space for different sized bottles, as well as dual-zone lighting. 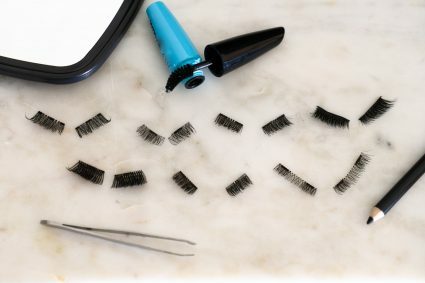 Lash’d Up - Natural "i woke up this way"